So contrary to common beliefs bacon grease can actually be really good for you and it adds AMAZING flavor to many dishes. 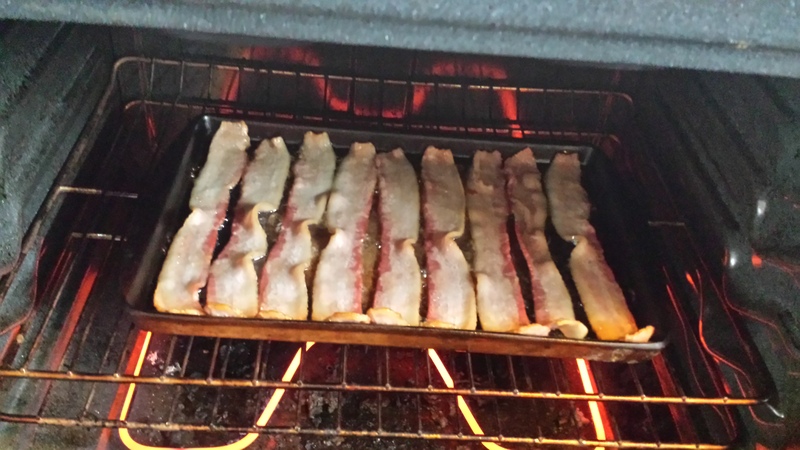 The secret is learning the right time to cook, flavor, eat bacon grease. I’m still learning this but I will share with you how I do it as I learn more. I normally cook all our bacon at the beginning of the week and then heat it up in the pan each morning before I cook our eggs. That way I can use the healthy bacon grease to fry or scramble my eggs. The one thing I will tell you right now…if you do this make sure you have no bread or other carbohydrate foods with it! This is very important! You must wait at least 3 hours before you eat anything with a high carb content! For now I will just teach you how to make it in the over so you can save the healthy grease and use it later. First get your stoneware baking sheet and make sure that has sides. If you don’t have a stoneware baking sheet make sure to line your metal one with heavy duty aluminum foil. Then lay out your bacon on your baking sheet. Place the bacon in the oven and turn oven on to 400 degrees. Set timer for 20 minutes for thick cut bacon. That’s all we eat so you will need to adjust your timer for thinner slices. Check to make sure it is cook to your desire. I always under cook mine a little because when you warm up your bacon later in the week it will finish cooking the rest of the way. Doesn’t that look yummy! This is right when I put it in the oven! Oh…I’m getting hungry! 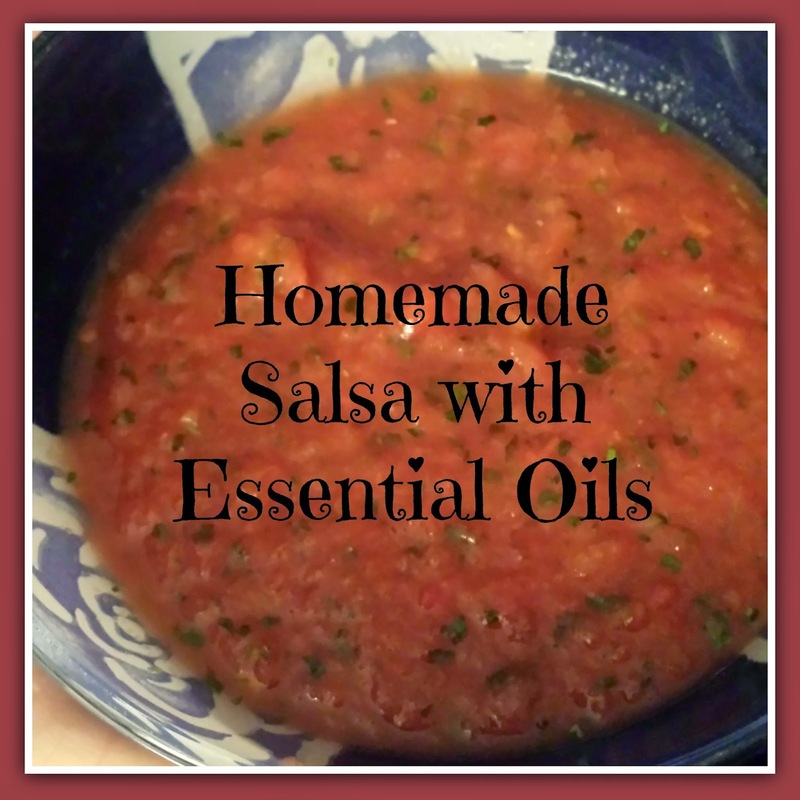 I’ve been experimenting with some yummy recipes and incorporating my love for doTerra Essential Oils. Here is my latest favorite recipe! Dump everything into your blender and pulse until you get the consistency you want. Refrigerate for at least an hour, then serve and ENJOY. Kept refrigerated, the salsa should last for about a week (though you’ll eat it before then – trust me!). When in a pinch I have also used Cilantro doTerra Essential Oil however it does taste better with fresh. There are some great benefits to using essential oils in your food. You can read all about lemon and lime on the links provided! I love using lemon with vinegar in a spray bottle to clean with. I love using lime in my water as a easy and natural way to help detox my body on a daily basis. *Remember that using only Certified Pure Therapeutic Grade (CPTG) oils in food. Other oils can have additives that can be unsafe when taken internally. If you’re interested in learning more about doTerra Essential Oils and how they can benefit your daily life let me know! I’m willing to help you! Enjoy your salsa!